The Empire State Building in New York City; photo by Wally Gobetz on Flickr (noncommercial use permitted with attribution / no derivative works). 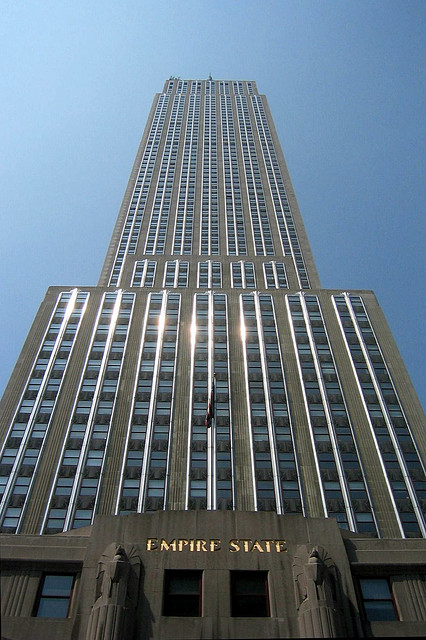 Today people associate the nickname with the Empire State Building, but the nickname came first. 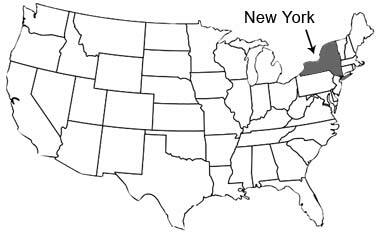 The actual origin of New York's nickname is unknown; some sources credit George Washington, who referred to New York state in December 1784 as "at present the seat of the Empire." Other nicknames for New York include "The Excelsior State" (Excelsior is the state motto) and "The Knickerbocker State" (from the pants worn by early Dutch settlers). State of New York USA (public domain image). 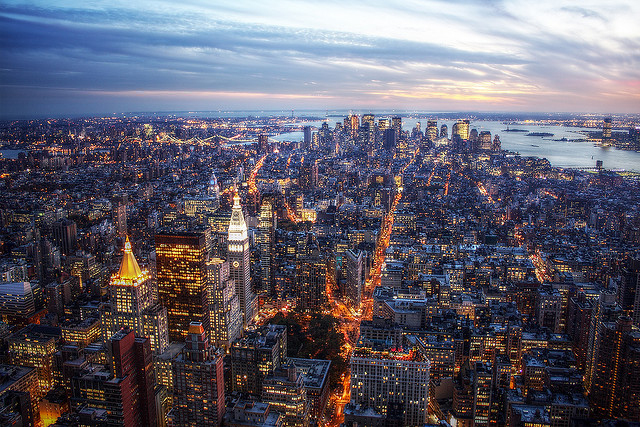 Southern Manhattan from the Empire State Building at dusk; photo by Rubén Moreno Montolíu on Flickr (noncommercial use permitted with attribution / share alike).